Whether your needs pertain to your home or business place, we will help all of Fairfield with their asphalt paving needs. What many Fairfield residents may not know if that asphalt paving must be maintained every few years, whether it be new paving or sealing projects. We understand this can be a rather costly expense, which is why we work with you to establish a reasonable cost based on your budget. We have happily served clients for over 20 years, and we are with you every step of the process in order to complete the project with your satisfaction and safety as our ending goal. Contact us today for a free quote regarding your asphalt needs! Ranked ninth in the “Best Places to Live” in the United States and the best place to live in the Northeast by Money Magazine, Fairfield, Connecticut is located in Fairfield County with a population of 59,404. The median income for a household in the town is $83,512. Fairfield is rich in arts and culture, with many historical sites and art theaters, including the Fairfield Historic District, the Fairfield Theatre Company, and the Bellarmine Museum of Art. The Gazebo on Sherman Town Green is where summer concerts are held in the afternoons. This is the ideal place to be, as the music is free to listen to, along with the enjoyment of free food and drinks. The town also offers many parks and recreational activities, such as the SportsPlex, located in downtown Fairfield and has athletic activities such as ice skating, indoor climbing, indoor soccer, and gymnastics. 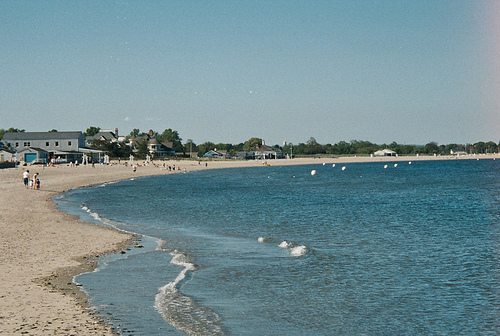 Fairfield’s 5 miles of Long Island Sound coastline includes five town beaches staffed by lifeguards during the summer. Residents can also rent boat slips at the South Benson Marina, and visit Lake Mohegan for its waterfalls called The Cascades.